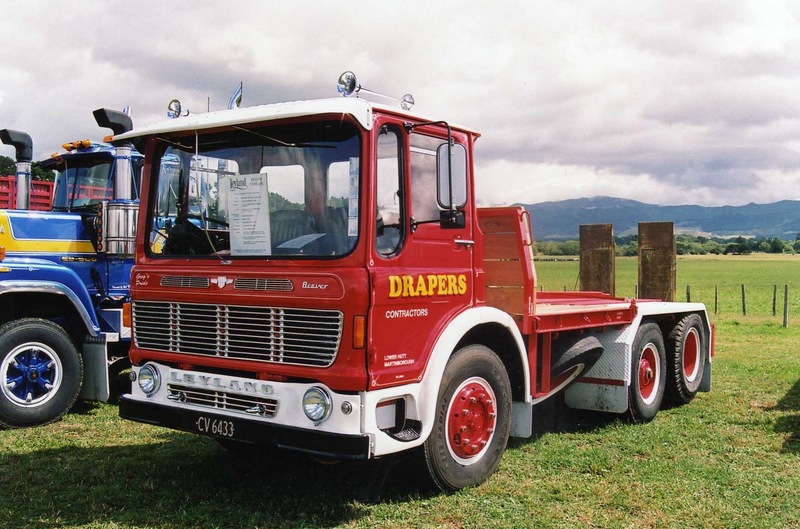 I had a comment from Jamie, asking if I had any photos of Ergomatic Leylands or AECs in Rodair or RFL livery. Rodair and RFL were the two big players in the refrigerated transport league in the 70s and 80s. 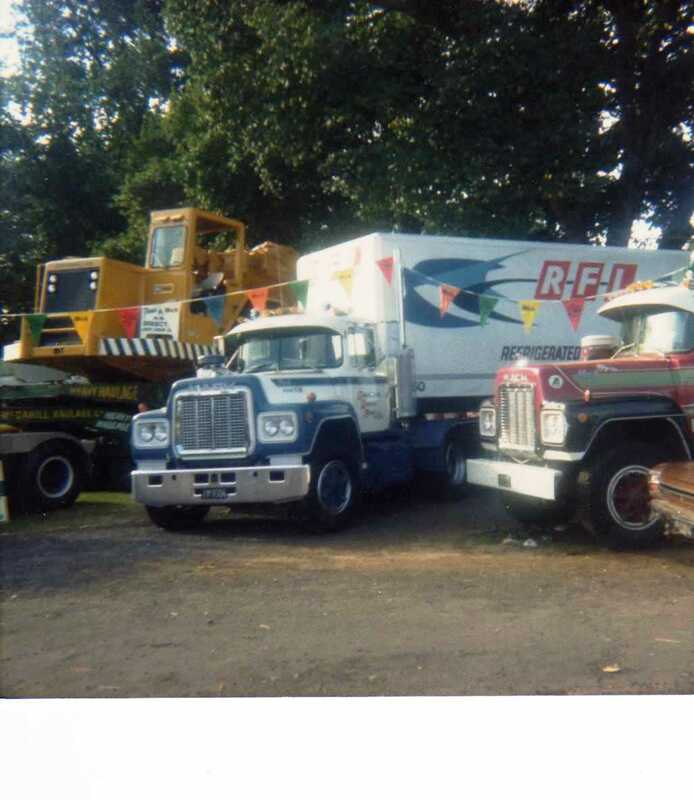 Although I remember these rigs well, I didn't have a decent camera at this time, so only have photos of their units of a later era. 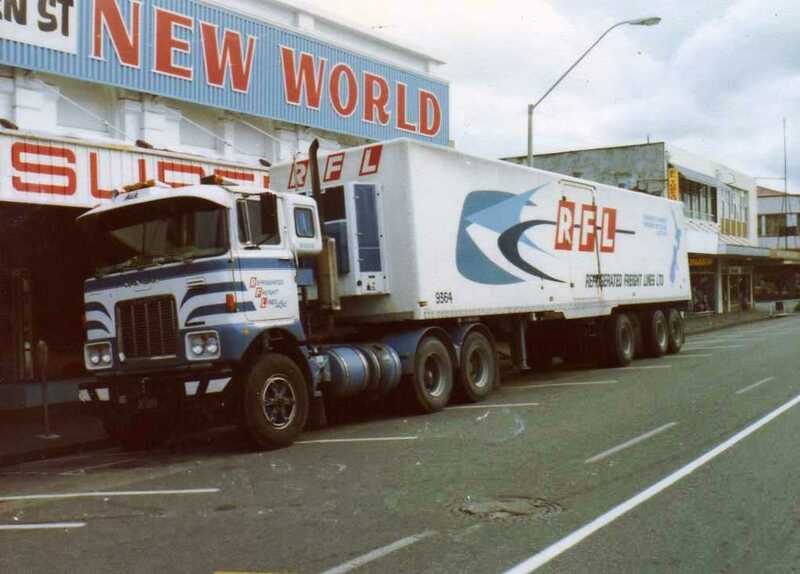 An RFL R series Mack at a truck show in Auckland. 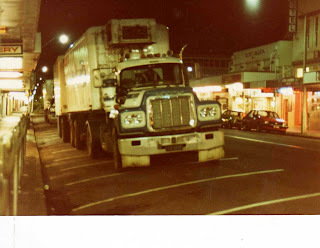 An F series Mack with small sleeper pod and 3 axle self steer trailer parked in Queen St Masterton. The RFL rigs parked in Queen St after the shops had closed and drivers stayed in the Empire Hotel. 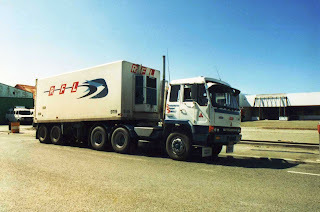 You may ask why they had a sleeper pod if they stayed in hotels? Well I think the pod was actually used to store the paper work as those American day cabs were fairly skinny. 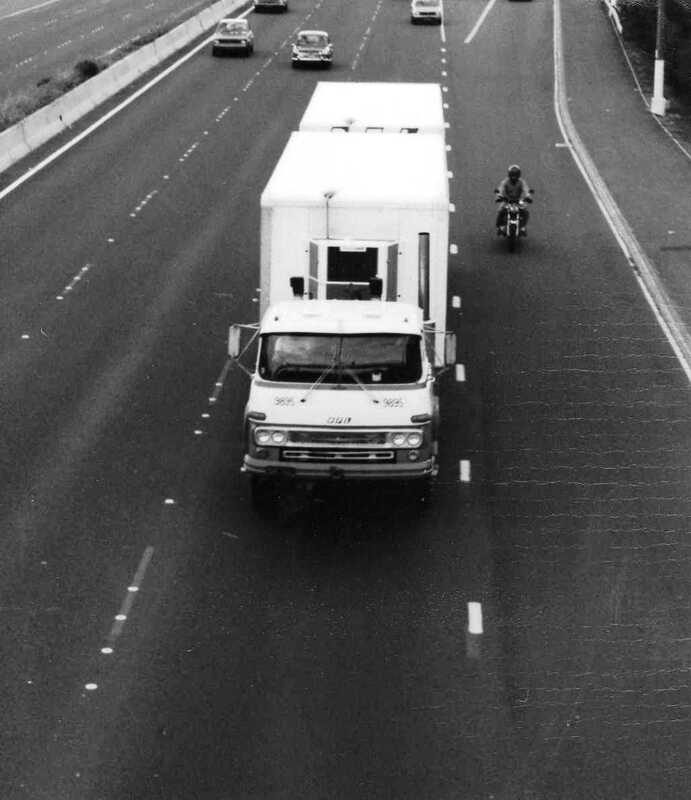 An RFL Fuso passes a motorcycle on the Auckland motorway. 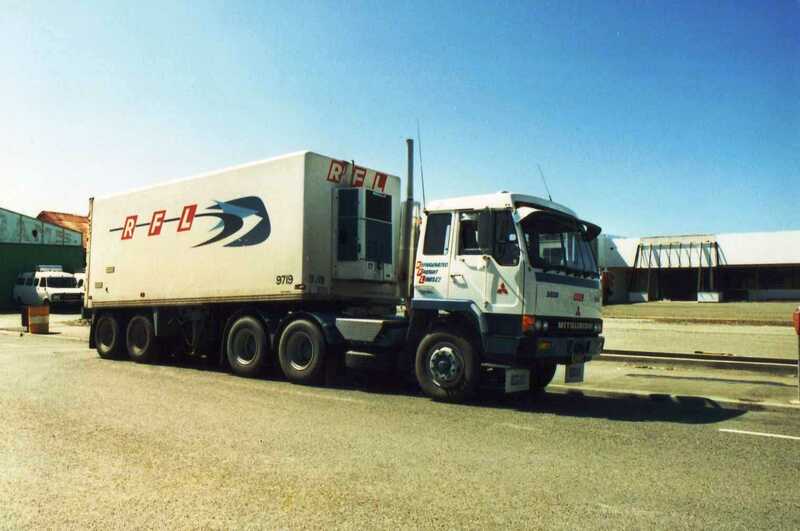 This was the other configuration that RFL used, consisting of two short two axle semi-trailers with a single axle convertor dolly under the second trailer to make it into a 3 axle full trailer. Tractors pulling these A-trains were usually single drive. 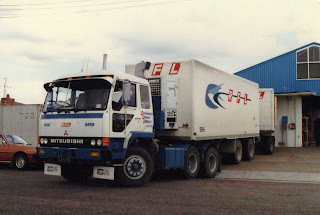 ....this Mitsubishi which has a short trailer with close coupled axles. 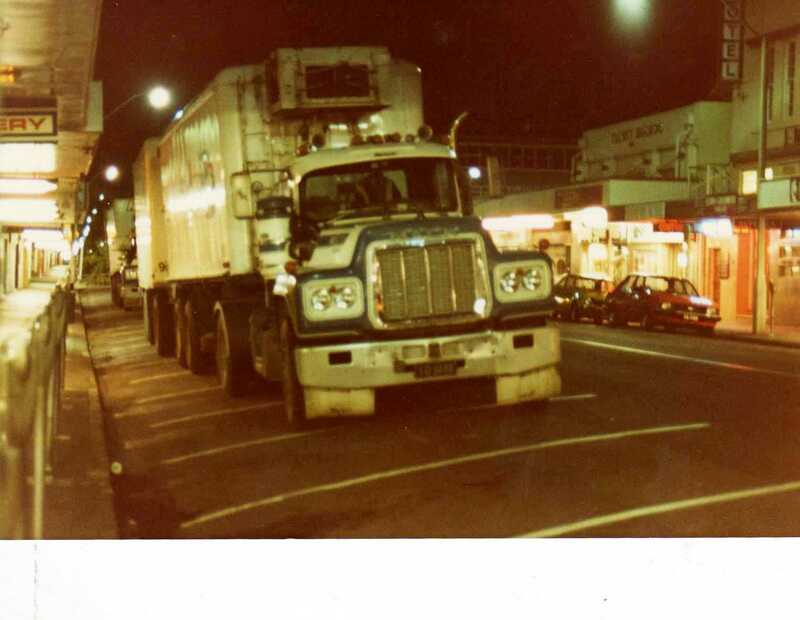 Through the main street of Taupo, heads this Mack Cruise-Liner of Rodair with three axle self steer semi-trailer. 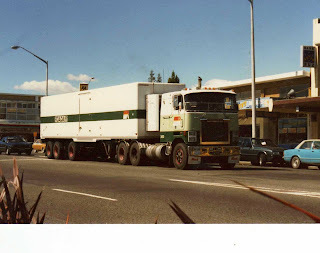 To give Jamie his fix of Ergo here is the only photo I have of an everyday working Ergomatic cabbed AEC Mammoth Major and trailer I spotted in Tauranga in the early 80s or late 70s. Trev,good on ya mate,thanks heaps,great photos as per usual. Funny thing me and a mate just delivered that very MM8 to Oxford over the weekend to a bloke who's going to restore it. 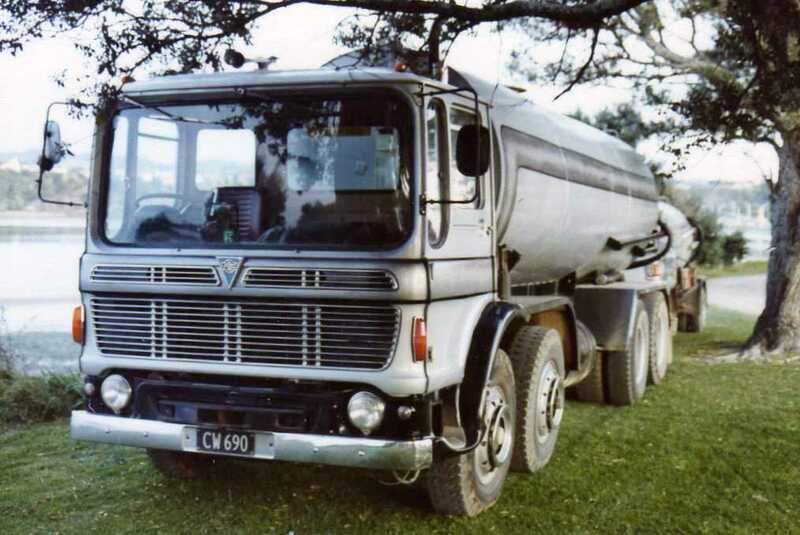 I've seen a few pics of it over the years but never like that in silver. 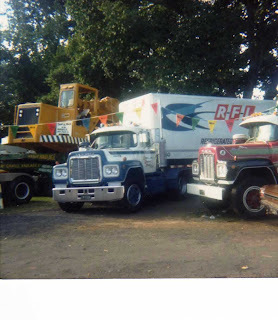 Wow!Trip down memory lane for me.Remember a lot of these rigs and companies on the road back in the day.Always loved my trucks,still do.RFL and TD Haulage were my favorites as a kid.Thanks for the stroll down memory lane.